You know when a book completely surprises you in the best of ways? Meet The Last Voyage of Poe Blythe. The setting is vivid. The characters are flawed, but relatable. And the story would not put me back down. The Last Voyage of Poe Blythe is about grief. It’s about the depths to which you fall in its maelstrom. But it’s also about the quest for Poe to redefine herself. Is Poe a ghost? a murderer? A victim? What I adored about The Last Voyage of Poe Blythe was how multifaceted this book is. Whether it be how Poe struggles with her grief and loss, or how Poe must navigate the rhetoric and narrative of the Outpost, or even Poe’s difficulty accepting people and relationships back into her life. Every aspect just builds to a crescendo throughout the book that will keep you from putting the book down. Motivated by revenge, Poe is itching for revenge. Robbed of the light in her sky, like a precious star blinking out of existence, Poe’s grief fuels her inventive spirit. But what Condie does not shy away from, is the knowledge that grief can twist us into something else. Into betrayal or what our loved ones wouldn’t want, into someone they wouldn’t recognize. And what we have to ask ourselves is: Who is Poe Blythe? Is she a legend? A myth? A ghost? Within The Last Voyage of Poe Blythe is a story about narratives. About dirty hands during war. It’s a story about shaping our history. And trying to navigate these muddled waters alone and against the current. I can’t divulge much of this theme because you have to discover it for yourself. But it’s certainly a factor that should draw you into this book! A sense of wrongness invades our senses throughout The Last Voyage of Poe Blythe. As we recognize something wrong about the atmosphere around us. And, like Poe, the readers do not know who they can trust. Is there a snake amongst the weeds? Condie delivers a book that operates on multiple layers: mystery, political almost dystopian vibes, and Poe’s struggles with grief. 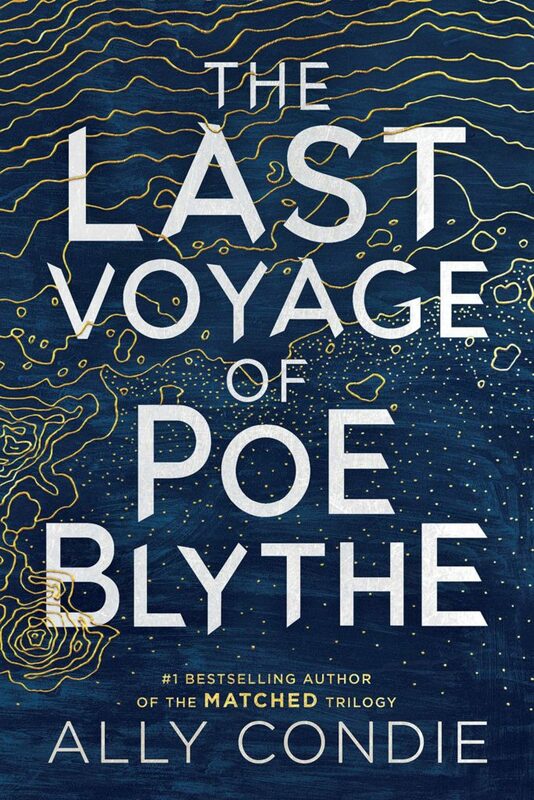 The Last Voyage of Poe Blythe is phenomenally written, whether it’s deep, genuine, or beautiful. Poe seems to ask the readers directly if we can atone for our mistakes. Can we ask for forgiveness from someone who will never speak again only for us to seek forgiveness from ourselves for being unwilling to see? At the same time, The Last Voyage of Poe Blythe is about accepting people into our life – knowing they could hurt us. It’s about the people we push away because our loss has hurt us too deeply. People who scare us because we can’t bear to feel that pain again. Find The Last Voyage of Poe Blythe on Goodreads, Amazon, Indiebound & The Book Depository. What is your favorite book that takes place on the water? Julia Ember wrote a guest post about dangerous ladies on the high seas and Poe certainly counts! I also read this by claiming it through Bookish. I think your review more than sums up everything I loved about this book. Some things in the book surprised me such as the traitor, the idea of motivations for why we do things (I now think of my own in a different way because of this book), as well as how much I enjoyed the world building. Yes! I’m so glad we both read it and really enjoyed the same things! YES THE TRAITOR TWIST!? !